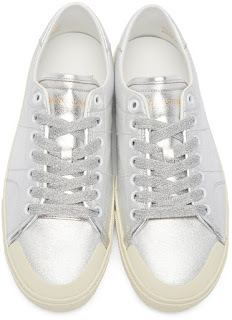 Clean and cool for the Spring doesn't always have to be in white. 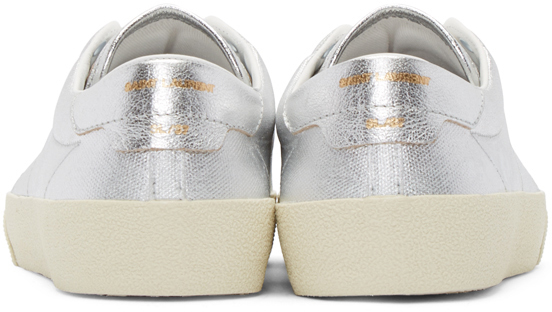 Such is the case with this Silver Metallic Court Classic Sneaker from Saint Laurent. 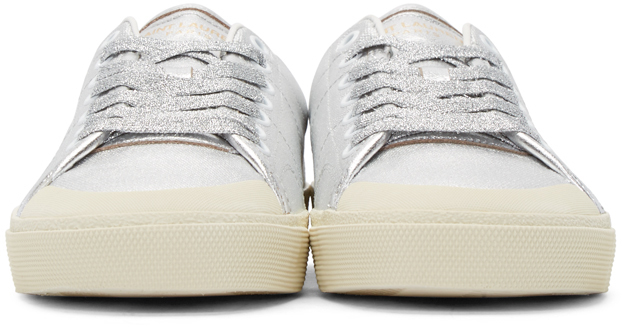 The upper is a subtle silver canvas with an off white rounded rubber toe, metallic leather heel and metallic silver woven laces. 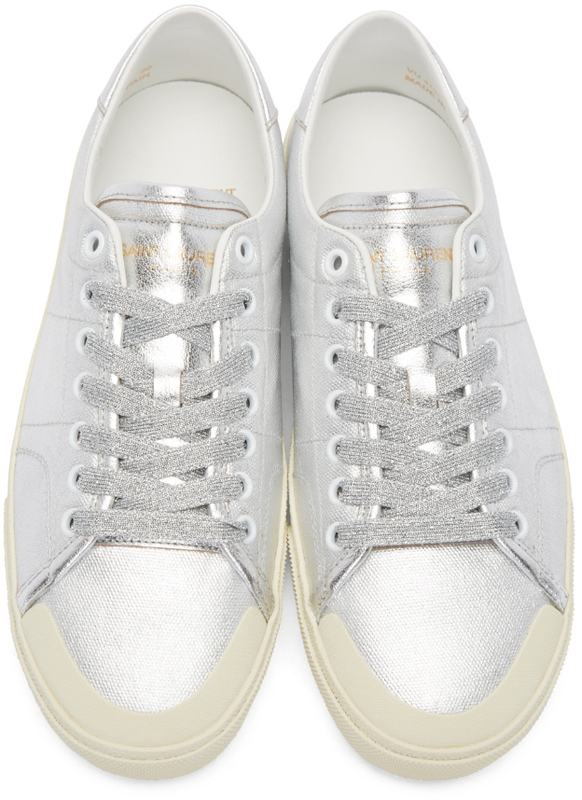 It'll give a bit of shimmer to your Spring/Summer wardrobe while remaining appropriately minimal enough to dress up or down. Available now at Ssense.com.